Attention all drivers in the Staten Island, Westfield, Union, Plainfield and surrounding New Jersey areas! Mercedes-Benz of Union has the brand-new 2016 Mercedes-Benz C-Class C 300 Sedan in-stock and available to drive off the lot today. We make car shopping a pleasure at our Mercedes-Benz dealership and cannot wait to get you into your new luxury sedan. It is our utmost goal to make every customer happy during their visit to our dealership by providing a hassle-free and efficient car shopping experience. Get noticed behind the wheel of a brand-new Mercedes-Benz by driving away in this stunning vehicle today! 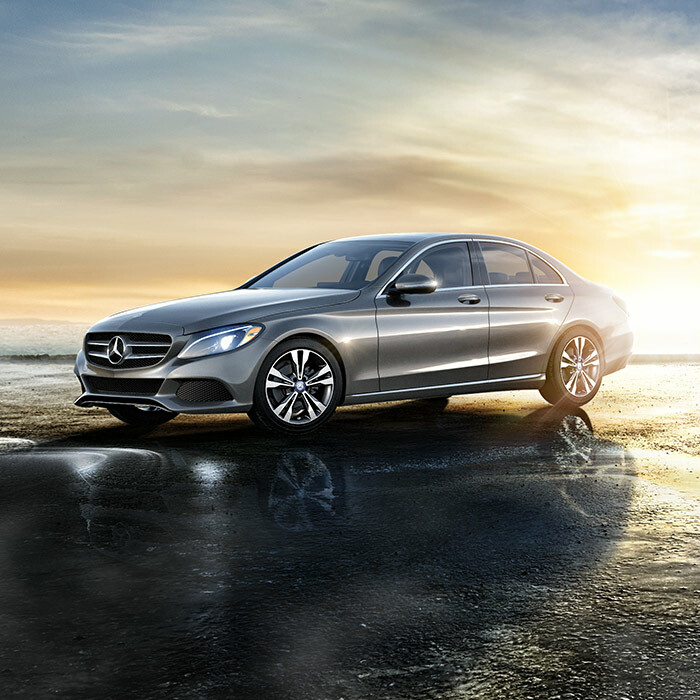 The C 300 serves as the foundation of the Mercedes-Benz C-Class lineup. This vehicle offers a 2.0 liter turbo inline-4 engine that delivers a remarkable 241 horsepower that when combined with a 7-speed automatic transmission gives you a smooth and effortless driving experience. Not only will you look great driving this vehicle with its standard 17-inch wheels and stylish design, but you will also get excellent fuel efficiency. 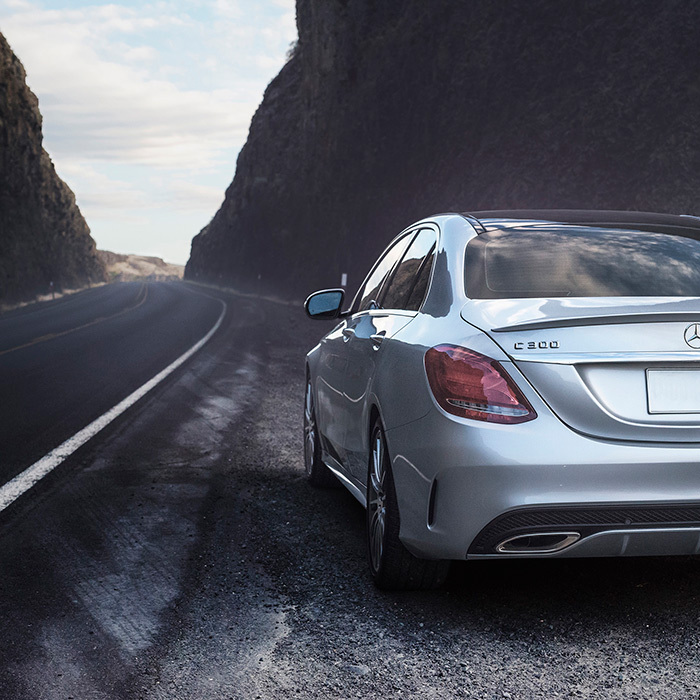 This sedan gets up to 34 mpg1 on the highway without compromising the powerful and nimble performance you’ve come to expect from a high-quality Mercedes-Benz. Explore why Kelley Blue Book critics rave about this luxury sedan –Test-drive its excellent capabilities at Mercedes-Benz of Union today! The elegant interior will impress you with its superior form, feel, flow and function. 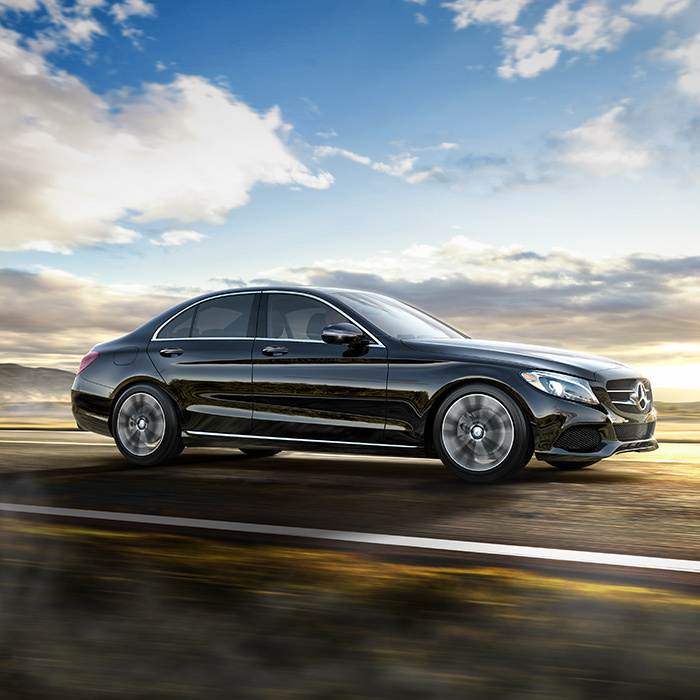 The Mercedes-Benz C-Class C 300 raises the bar in regards to style and craftsmanship for the luxury sedan market. The cockpit is completely modernized with elegant aluminized finishes and cutting-edge technologies such as a touch-pad controller, Bluetooth®3 audio streaming, voice control capabilities. Enjoy comfort and convenience from when you use your keyless start to begin your journey to adjusting your 14-way power seat and dual-zone automatic climate control. The C- lets you effortlessly enjoy every element of driving with its superior craftsmanship and functionality – Explore it all at our dealership now. Boasting a 5 star overall NHTSA safety rating, the 2016 Mercedes-Benz C-Class C 300 is loaded with features to protect you and your passengers on the New Jersey roads. 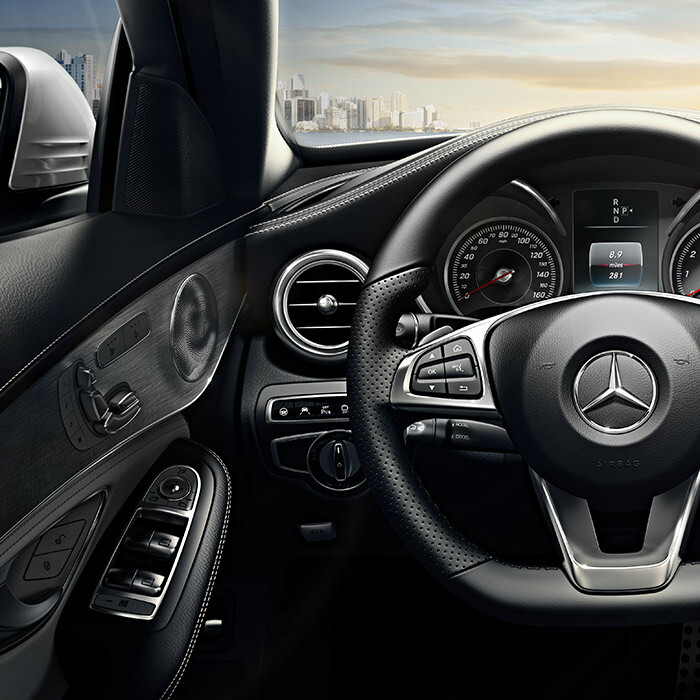 The C 300 comes equipped with electronic radar-based technology2 to alert you of approaching vehicles and potentially perilous hazards on the road. For superior lighting, the C 300 comes standard with modern LED Daytime Running Lamps and a sharp fiber-optic LED tail lamps that highlight the strong lines of the car while keeping you visible at night. Even the automatic rain-sensing windshield wipers will adjust wiper frequency to match light or heavy rainfall ensuring the utmost visibility during inclement weather conditions. 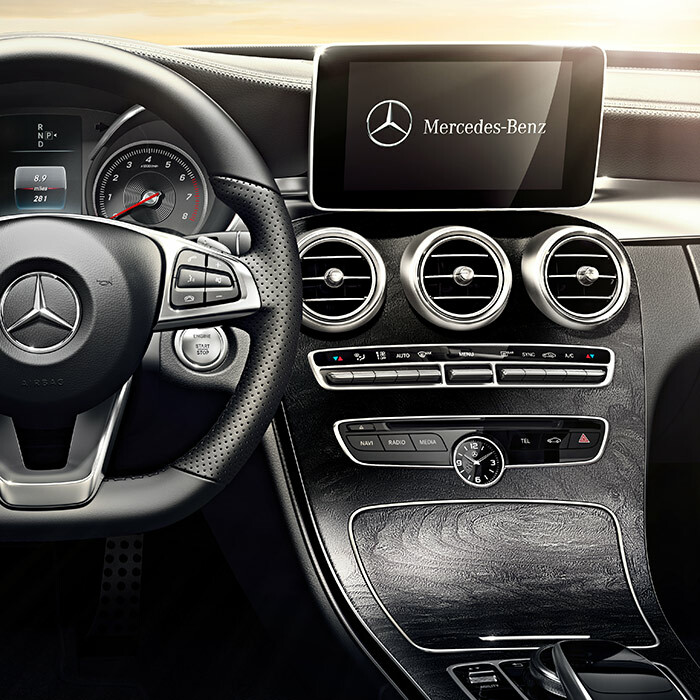 Besides its superior performance, luxurious interior design, and standard safety features your new Mercedes-Benz C-Class C 300 is backed by outstanding warranty and services. Working with an authorized Mercedes-Benz dealership guarantees genuine replacement parts and accessories installed by professional and certified technicians to maintain the performance and integrity of your vehicle. The Mercedes-Benz Extended Limited Warranty offers additional protection once the original warranty expires – Offering the prestigious level of service and care only found at an authorized Mercedes-Benz dealership! Come in today and experience why drivers from Staten Island, Westfield, Union, Plainfield and the surrounding New Jersey areas are choosing their next vehicle from our Mercedes-Benz dealership. 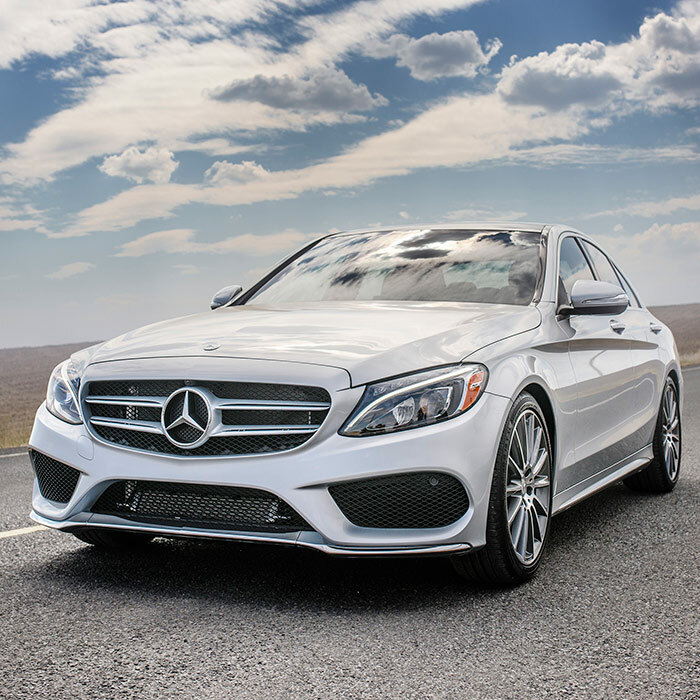 With an impressive selection of 2016 Mercedes-Benz C 300 sedans to choose from we’ll help you inspect and test drive one of these incredible vehicles today. At Mercedes-Benz of Union our courteous and professional staff is here to help take care of your car so you can focus on your family. We look forward to meeting you and helping you drive away in luxury and style – Contact our dealership today! *Images used on page depicte 2015-2017 Mercedes-Benz C 300 models. *Excludes all options, taxes, title registration, $925 transportation charge and dealer preparation fees. 1. Fuel efficiency (highway range): EPA estimated 34 MPG highway with 18-gallon fuel tank capacity. You may get different mileage depending on driving conditions. 2. May not be sufficient to avoid an accident. It does not react to certain stationary objects, nor recognize or predict the curvature and/or lane layout of the road or every movement of vehicles ahead. It is the driver’s responsibility at all times to be attentive to traffic and road conditions, and to provide the steering, braking and other driving inputs necessary to retain control of the vehicle. Drivers are cautioned not to wait for the system’s alerts before braking, as that may not afford sufficient time and distance to brake safely. 3. Bluetooth® is a registered trademark of Bluetooth® SIG, Inc.